I may be a little early in focusing on the transition to Spring, but hey, you gotta have something to look forward to, am I right? Well, for Spring style I’ve been looking forward to nothing but ruffles! 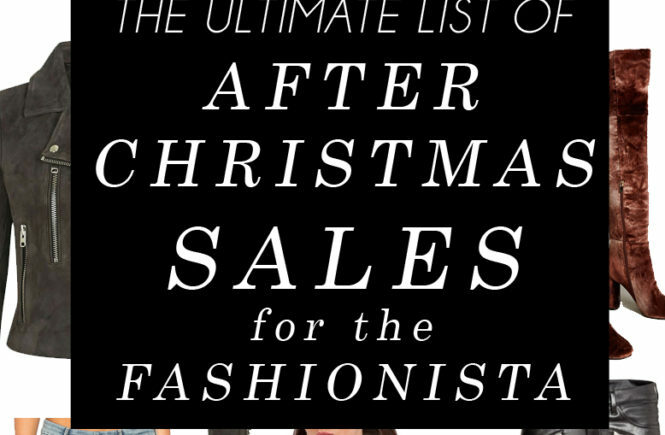 You’ve been seeing them everywhere, from the runways in Paris to the closets of the Insta-famous bloggers. And I’ve been searching high and low for all of my favorite ruffled pieces so I could share them with all of you! 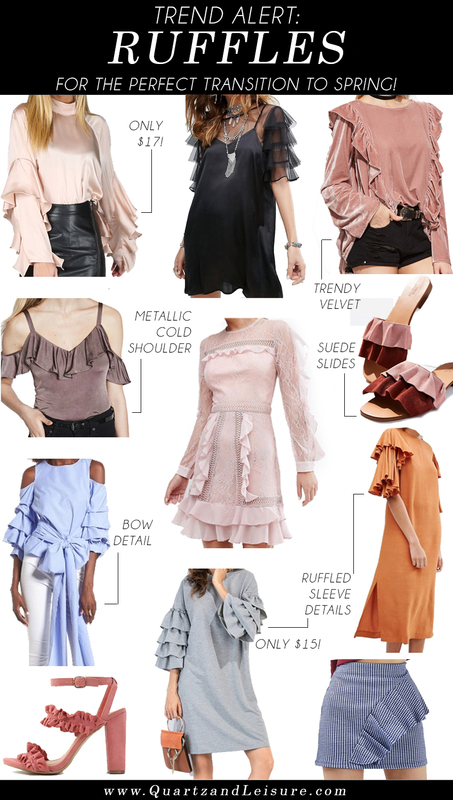 First of all, textures like satin and velvet are still going to be hot for spring, so this blouse and this ruffle top will make perfect additions to your Spring looks. The long sleeves on these tops will keep your arms warm until the temps soar a bit higher. And, the best part is that both of these are UNDER $20 so you really can’t go wrong! Dresses are always popular for Spring, and this year will be no exception. Personally, I can’t wait to show off some bare legs once the weather gets warmer. But, if you’re still stuck in the winter zone, then check out my post here on how to wear patterned tights. This dress is an absolute must for any Springtime occasion, due to its flirty ruffles and blush pink color. Think: Spring bridal showers, Easter, and Mother’s Day. And this black dress with the ruffled sleeves is the perfect modern LBD addition to your wardrobe. 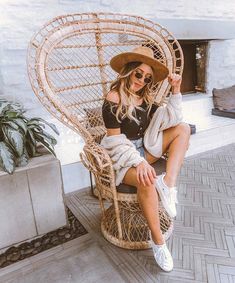 The slipdress style is on trend right now and you can dress it up with heels or go more boho with earthy statement jewelry as shown in the picture. Our shoes are not even safe from the ruffle trend, and I’m totally OK with that. These ruffled pink heels will make your Spring looks pop (they also come in black), and these suede slides are the perfect casual shoe for getting sh*t done on the weekends, while still looking cute. They also come in a gorgeous periwinkle color found here. 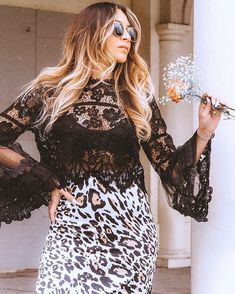 Layered ruffle sleeves are probably the most common trend this season, as seen in this dress, this top, and this maxi dress. I really love the unique bow detail on this top, as it adds a little something extra to the look. Pair it with denim for an everyday look or white pants for a dressier occasion. So, what other ruffled pieces are you looking forward to wearing this Spring? Please let me know in the comments below! I love these items! Ruffles are definitely in right now! Thanks, Kara! I’ve been loving it too! Im loving the ruffle trend! They are such a cute addition to clothes!